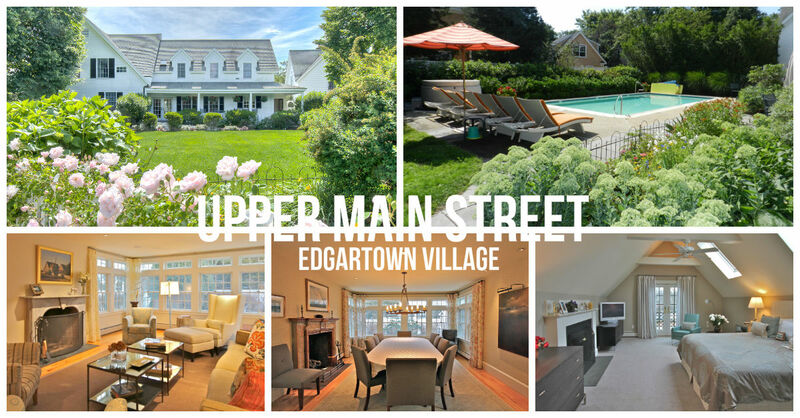 VINEYARD PERFECT - A gracious home in the Village built in 1920 and restored to it's current contemporary condition over the past several years; it contains every element to fulfill your every requirement. Walk to everything, the almost 5,000 sf of living space in the Main House easily accommodates family and friends. Featuring the required covered front porch, best kitchen on the island, large yard, heated pool, separate Carriage House with home gym in the garage and a guest suite above. All areas are fully air conditioned. The expansive yard provides a bricked area for more than adequate parking. Possibly the most important aspect of the property: the July 4th Parade goes right by the house. This is a truly unique property in excellent condition that gives real meaning to Vineyard Perfect.